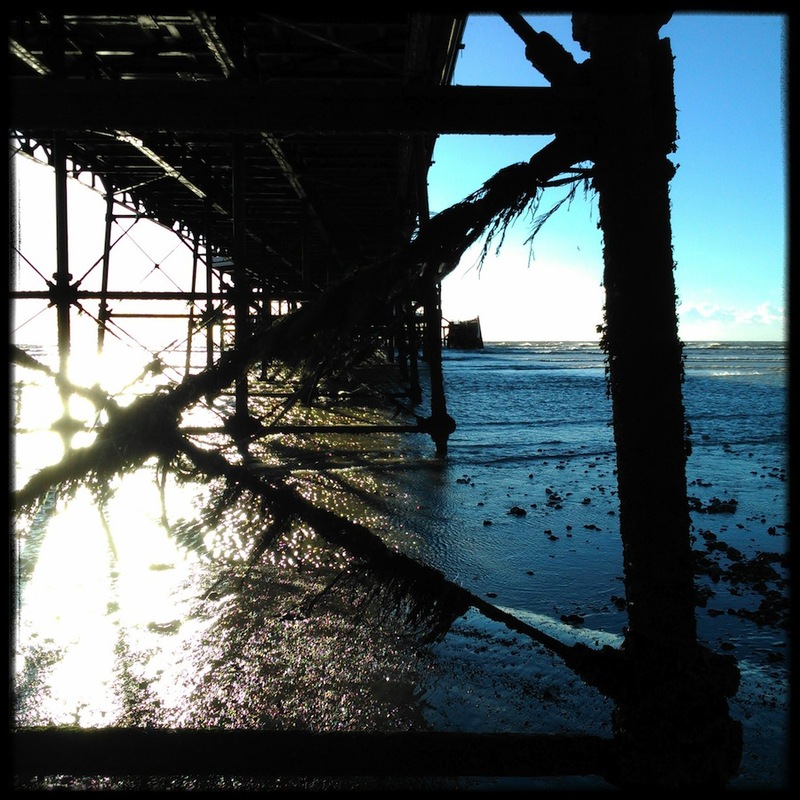 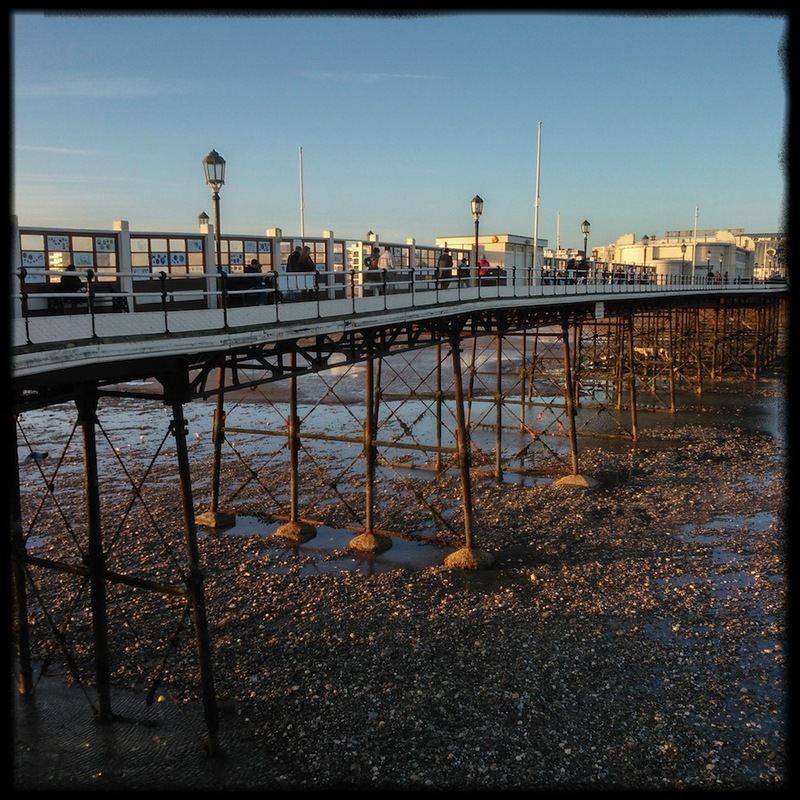 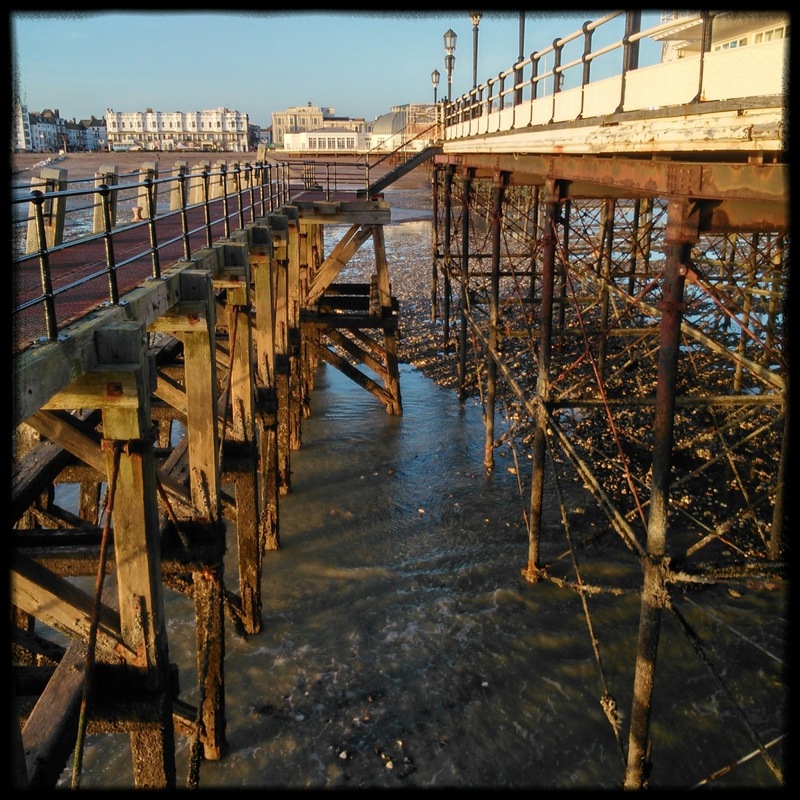 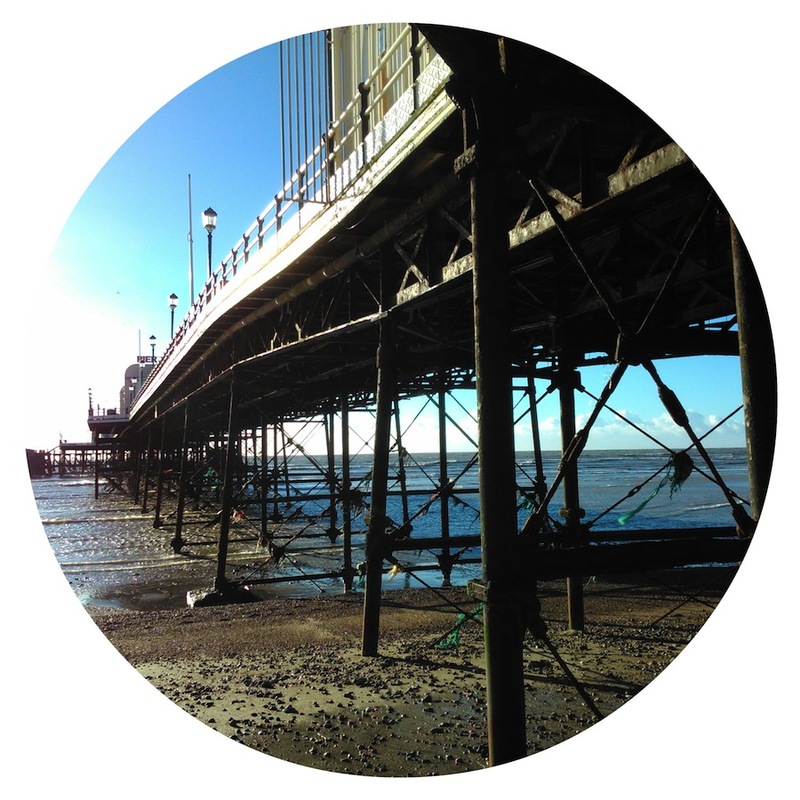 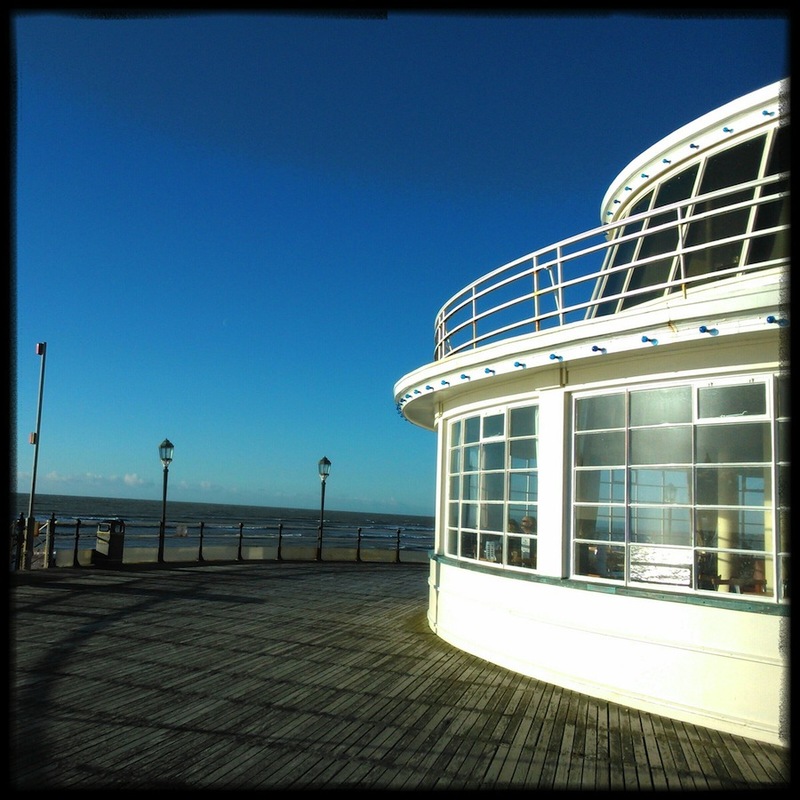 A walk at low tide on a bright, cold January day gave excellent views of the tremendous structure under Worthing Pier. 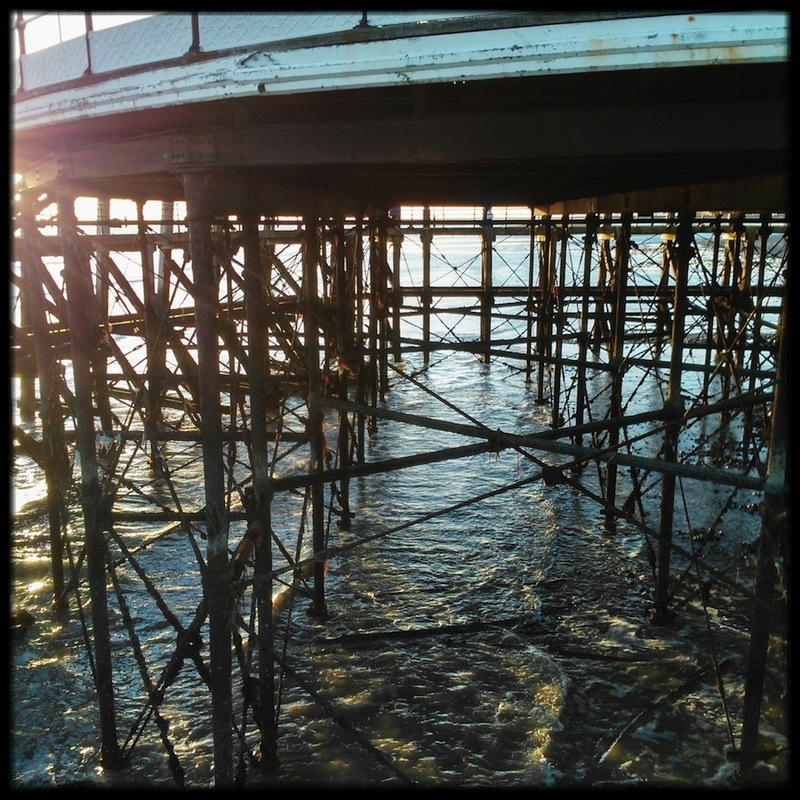 Beneath the Pier stands strong legs of steel, rusted in shades of gold and webbed with seaweed. 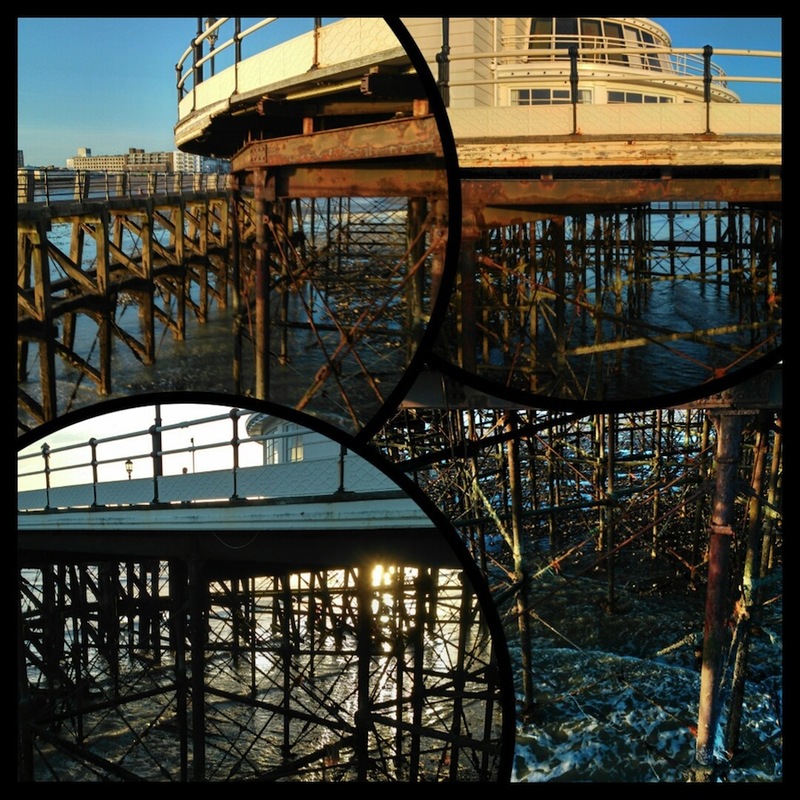 While visitors take tea and eat cake in the refurbished Southern Pavilion above, clusters of mussels feast on plankton below.